Nathaniel Granger first appeared in The Death of Virgo. 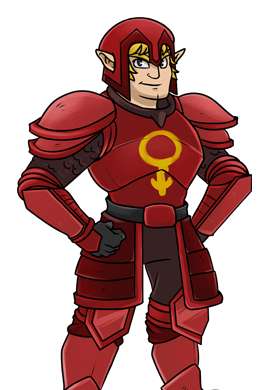 He has a close friendship with his commander, Virgo Sunsword, despite Virgo having killed Cecilia Briggs, the woman who Nathaniel married, as it was in order to save her from being an Ageless. Nathaniel then bonded his and Cecilia’s spirits together through powerful Earth magic to manifest her as a Nimbus. Nathaniel was last seen defeating a Flesh Monstrosity with Virgo, and learning of Reginald Barringster’s betrayal.